Our live seminars offer an exciting opportunity to learn more about our tools. Application seminars have always been an important part of Ingersoll Cutting Tools customer service. We believe that properly applying cutting tools is just as important as building quality cutting tool products. Seminars are held on a regular basis each year and focus on proper tool selection and application of the latest cutting tool technology. Through live demonstrations, group discussions and multimedia presentations, seminar attendees are exposed to the wide range of metal cutting products and technologies available in the marketplace today. Ingersoll is dedicated to providing the end-user with as much information and instruction possible to increase tool performance and optimize production. 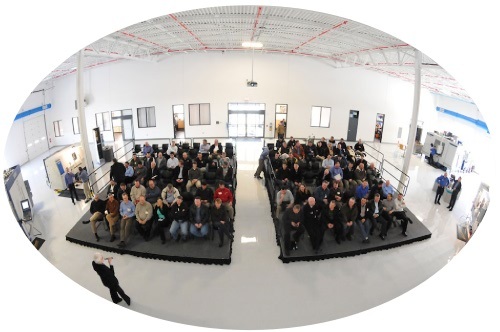 Ingersoll technology seminars are presented in a brand new state of the art Technology Center conveniently located in Rockford Illinois. We invite our valued Productivity partners to participate in this learning experience opportunity.